I mentioned earlier that I would review the second Ruth Galloway novel by Elly Griffiths, Janus Stone, and one of my readers said it was good as the first. She was not mistaken. This time the forensic archaeologist is called in to investigate when builders demolishing a large ancient house uncover what appears to be the skeleton of a child. Bad enough, but its skull is missing. Found under the doorway, Ruth feels this might be a ritual sacrifice. 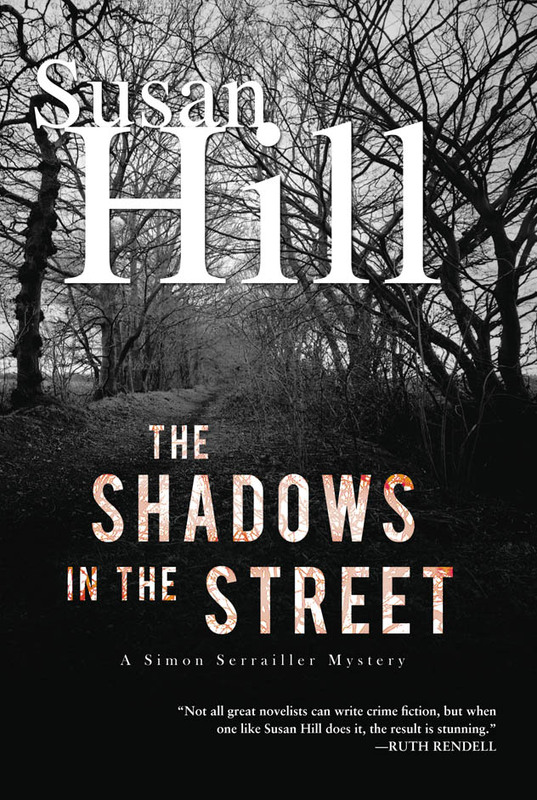 While gathering her samples, DCI Harry Nelson, he of the complicated relationship with Ruth, becomes involved after it is revealed the bones are not ancient, and that the house was once a children’s home. He sets out to interview the Catholic priest who ran the home, who tells him forty years ago two children went missing, a boy and a girl. When carbon dating proves the child’s bones are from an earlier period, Ruth maintains her ties to the investigation. She’s drawn more deeply into the case when it becomes obvious someone is trying to frighten her off it. They’re doing a good job of it, for Ruth is pregnant herself, and although she’s thrilled and determined to raise the child alone, is still dealing with telling her parents and friends about the baby, who include the child’s father. Ruth is a grand creation, someone most women can relate to: an earthy, overweight gal who’s happy her pregnancy gives her a reason to stop trying to lose weight. Some of Ruth’s colleagues from the first novel, The Crossing Places, reappear, and add to Ruth’s wry sense of humor, which make these books a treat to read. Griffiths does a great job of intertwining the emotional with the plot points and keeps them coming as the tension rises. There was one point at first where I thought she’d taken a jog off into the impossible, but her explanation and Ruth’s reaction to these events make that twist believable, and in the end, reasonable. Of course, that just makes me now anxious to read the third installment, due sooner than Ruth’s baby. Here’s a family story with a great twist: Depression Cookies is written by a real mother and daughter team. Tia Silverthorne Bach and Angela Beach Silverthorne have co-authored a lovely coming of age story, with Angela writing the voice of the family’s mother, Abby, and Tia writing her teenage daughter, Krista. It’s a story many families face: a mother of three trying to juggle three children amidst her husband’s corporate ladder climb, frequent absences and the need to pack up and move her entire family all too often. Amidst the juggling, Abby’s own needs and ambitions have been ignored. She feels taken for granted and that is often true. At the other end of the spectrum, Krista is facing her own issues: teenage acne and hormones, health problems in herself and the family, and the need to find herself, all complicated by her father’s job and their frequent moves. Then throw in the very real problem of finding and maintaining friendships when there are frequent moves. The love these family members feel for each other is evident, but so are their very real problems. Having many episodes shown from two points of view reminds us that life is often seen from where we stand, and that the perspective of the situation varies from person to person. There’s humor, pathos, and the powerful strength of women as the energy of the female spirit is celebrated. Angela and Tia will be interviewed by The Lifetime Channel for their show Balancing Act, and will be featured in the Authors’ Corner segment. Check local listings to meet these vibrant and interesting women and learn what inspired them to write Depression Cookies. Today’s guest blogger is Dorothy St. James, author of Flowerbed of State. Here’s a picture of Dorothy and her husband, Jim, at their visit with the State Department. One of the troubles of writing about a character who works at the White House is the heavy security and veil of secrecy that can be the bane of the curious mystery novelist. The White House tour, while a wonderful experience, only allows the visitor the chance to briefly peek at a few of the many rooms. No cameras allowed. Although the Secret Service agents on duty throughout the tour were very knowledgeable and patiently answered all of my questions, I didn’t get to see the really interesting bits of the White House like the grounds office, the kitchens or the situation room. Luckily, a little competitive charitable giving last year through Brenda Novak’s Annual Action for the Cure of Diabetes (going on now) whisked me away on an exciting adventure that took me to some of the behind the scenes secret places at the State Department, including the top secret Operations Center and the not so secret, but delicious lunch, at the Diplomatic Dining Room. Again, no cameras allowed in the Operations Center. But I did garner some wonderful information. In addition to helping plot my White House Gardener Mystery books, the research trip got me to thinking about the “secret places” in our own lives. For me I’ve kept secret my writing. I’ve held that part of me in that dark, forlorn place for so long (practically all my life) that I now struggle every time I’m asked to talk about my work, my passion. Judging by my bright red blush, you might think someone had asked to take a peek at my…er…bloomers! Perhaps reticence to talk about my passion for writing comes from my Southern upbringing. We don’t talk about such things. Or perhaps my embarrassment grew out of some deep-seated neurosis that should leave me draped languidly across a shrink’s sofa. I don’t know, nor do I really want to. But as a mystery novelist, my life is all about exposing secrets. So I stand before you, no longer hiding who I am. Like Casey Calhoun, the organic gardener/sleuth in Flowerbed of State, I’m going to treat everyone I meet as if she were a long-lost friend. So here’s my big secret. I’m not a profession beach bum as I’ve been telling everyone. I am a mystery novelist. Do you have any secret passions that you’ve been hiding from everyone around you? Is there value in talking about your passions with others or should you hid them away to keep them protected? What do you think? Dorothy St. James is the PROUD author of the White House Gardener Mystery series from Berkley Prime Crime. Catch Casey Calhoun, the White House’s newest addition to the gardening staff, in her first adventure in Flowerbed of State. Learn more about Dorothy, her secrets, and her gardening adventures at her website, on Facebook or follow her on Twitter. SJ Bolton lives with her family near Oxford, one of my favorite places on Earth, lucky gal. But she grew up in Lancashire and has always been fascinated by British traditional folklore. 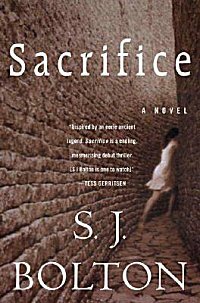 You’ll see the evidence of this as you read her debut novel, Sacrifice, where she skillfully weaves a centuries-0ld myth into the very fabric of her story, where deceit is the name of the day. Obstetrician Tora Hamilton is an outsider to the Shetland Islands but to her husband, Duncan, it’s where he grew up and both of his parents still live there. The rocky, wind-swept landscape takes getting used to, but Tora is trying to embrace this new life, along with her position at the local hospital. Her horses give her solace until the day Duncan is away on business, and a dig into the peat on their property reveals a human body. At first Tora is convinced this is a bog body, a hundreds-year-old cadaver that has been preserved in the peat, interesting but not uncommon in the area. At least, that’s what Tora tells herself, until she uncovers more of the body, realizes it is much younger, and sees the woman’s heart has been cut out only a few days after bearing a child. Tora becomes obsessed with finding out who murdered this new mother in such a horrible way, and what happened to her child. Her research takes her back to an ancient Shetland legend, but the evil she finds has a very modern basis, and the dark secrets she unearths lead her to a systemic destruction of everything she thought she believed in. Her faith in those around her destroyed, Tora doesn’t know who she can trust, if anyone. Readers of Anne Cleeves Shetland Island novels will be familiar with the barren landscape and physical challenges of living in such an area, which adds to the terror as Tora’s journey takes off in a series of escalating twists. This is a page-turning debut, a real chiller, that will have you rooting for Tora. Bolton has several other novels I’ve ordered and will report on later this summer, but this initial novel promises her to be a writer whose books you’ll be waiting for down the road.